Are you a non-native English speaker embarking on an English journey? Have you been preparing for your TOEFL and IELTS and plan to take the exams soon? Then this book is for you. 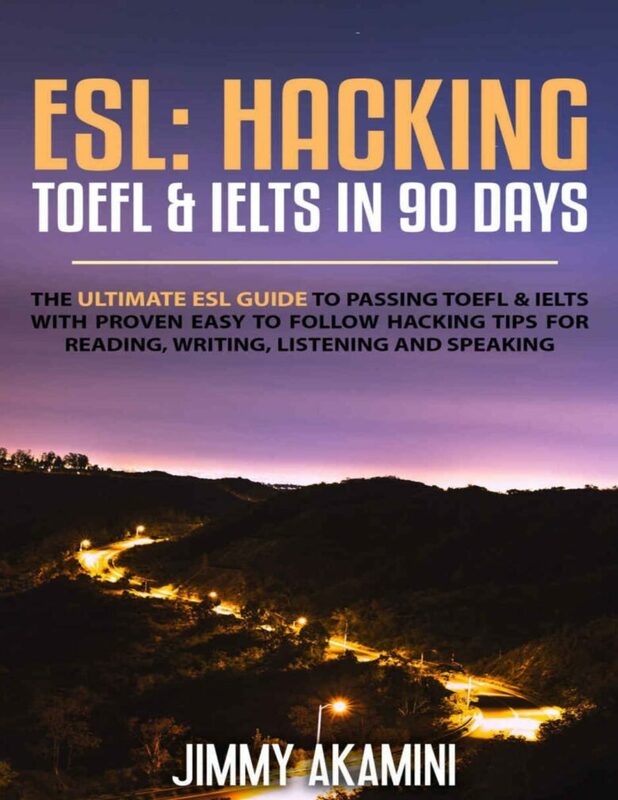 This book contains proven steps and strategies on how to pass TOEFL and IELTS at your convenience in 90 days. I will take you through the basics of preparing for the exams, the tricks you need to learn and the practical guide and exercise for each module of the exams. This book is written in such a way that if you understand the book in its entirety, you are ready to take your exams. Jimmy Akamini is a pen name for Tenlavi Vakalalabure’s non-fiction books. They are location independent digital entrepreneurs who have been travelling internationally for the past 5 years. They are also qualified lawyers, researchers, teachers, language hackers and avid readers. The books they write about reflects their varied interest on topics that interest them as a result of things they experience and people they meet in their travels. One of their favourite experience is talking to non-English speakers during their long train rides across Asia. This helps them practise the languages that they are learning and vice versa help these non-English speakers with important English phrases.